Highly tactile, this baby Tawny Owl is made of soft grey plush with airbrushed markings. 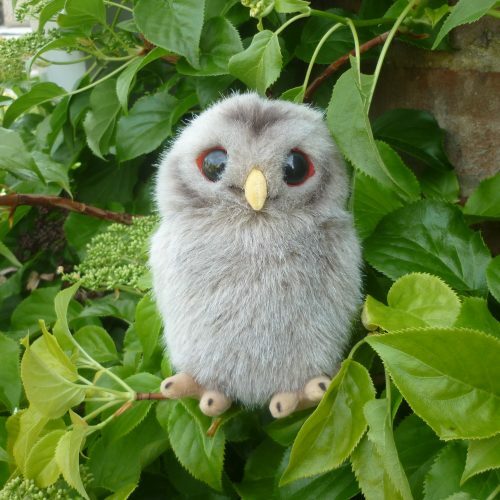 He has dark red ultrasuede behind his large black eyes, a velour beak and feet and airbrushed claws. Partly pellet filled, he can sit unaided. Surface washable.